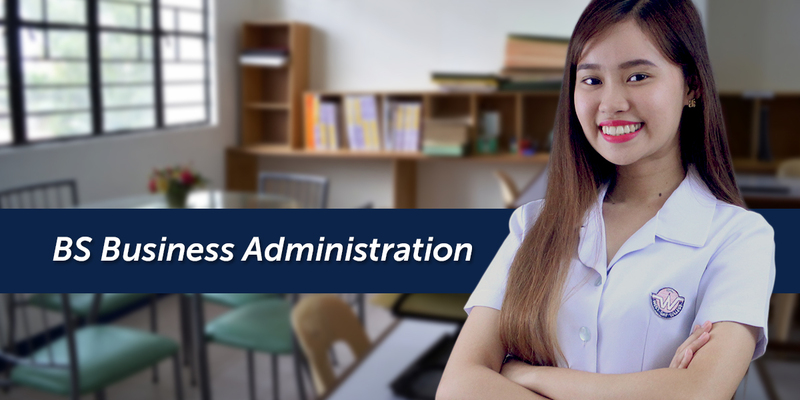 The Bachelor of Science in Business Administration program is designed for students seeking a strong and comprehensive foundation in Business. This program intends to equip students with the relevant attitude and skills to excel as business professionals and/or entrepreneurs. It is more structured than other business programs for it covers the breadth of business-related disciplines as defined in the business core curriculum – accounting, international business law, economics, finance, management, international business, and information systems. The program culminates with a feasibility / thesis strategy course which requires students to apply their knowledge of the various aspects of business in a market simulation. Students will have a choice of two (2) specialization tracks for their majors. Students may choose either Marketing Management or Operations Management. Graduates of the program are expected to be adept at seeking business opportunities, managing tasks and people, and applying quantitative techniques that are helpful in the achievement of organizational goals. For BSBA Graduates Major in Marketing Management. Graduates will have job opportunities as Management Trainee in Marketing, Marketing Assistant, Market Analyst, PR and Advertising staff, Product or Brand Management Staff, Sales Personnel, Customer Service Staff, Merchandising Staff, Entrepreneur. For BSBA Graduates Major in Operations Management, Graduates may be employed as Management Trainee in Operations, Operations Analyst, Production / Operations Assistant, Technical Staff, Logistics Management personnel, Supply Chain staff, Project Management Assistant or Staff personnel, Inventory and Warehouse operations staff.